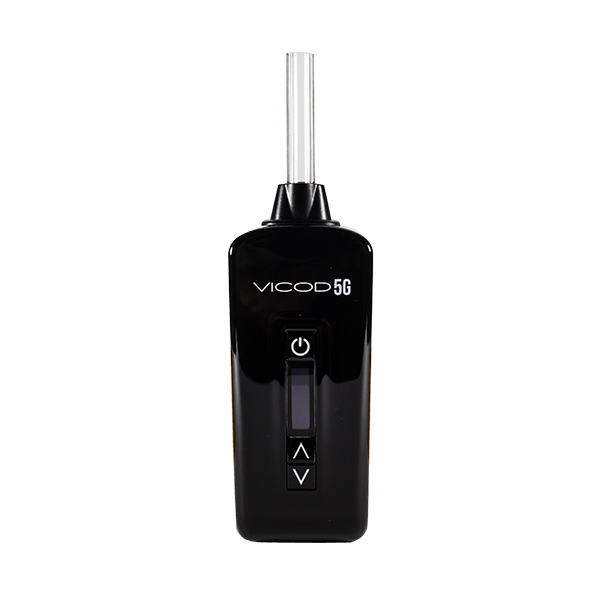 With an efficient ceramic heating chamber, advanced temperature control, and exceptional portability, the Vicod 5G portable vaporizer stands out as a tiny but mighty portable vaporizer. 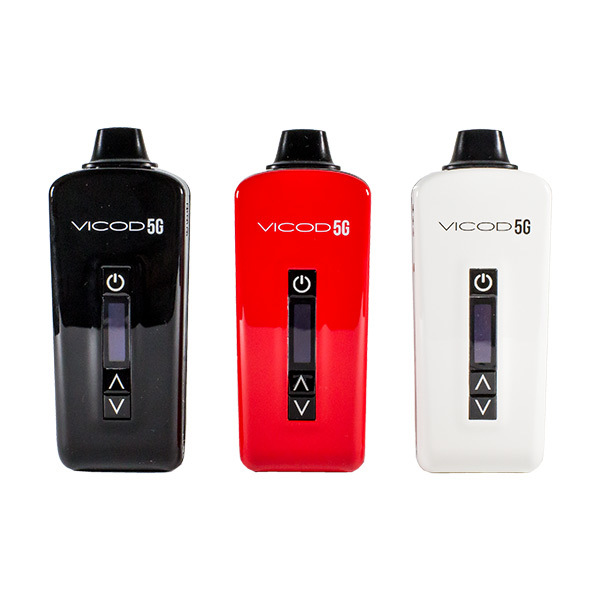 More compact than its predecessor, the Atmos Vicod, this unit is easily hidden in the palm of your hand for discreet vaping. 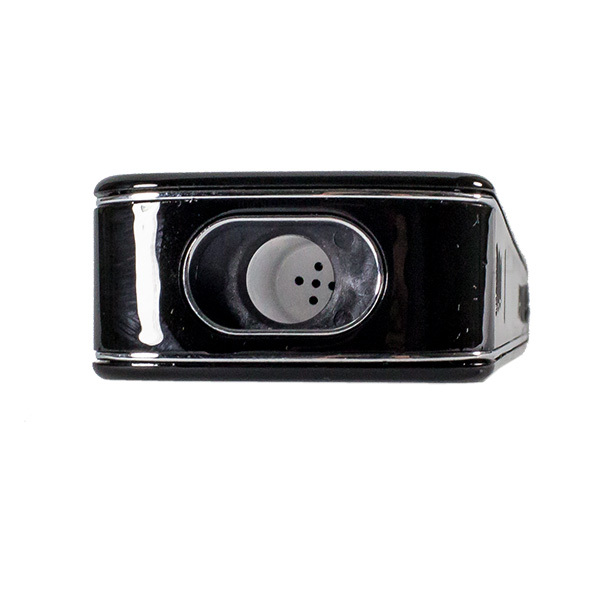 The high grade ceramic heating chamber produces vapor which is just as flavorful and smooth as it is pure. 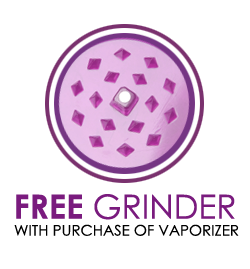 And precise temperature control enables you to vape at the ideal temp for all the most popular strains, as well as customize your vaping experience based on your preference for bigger hits or smaller, more flavorful puffs. 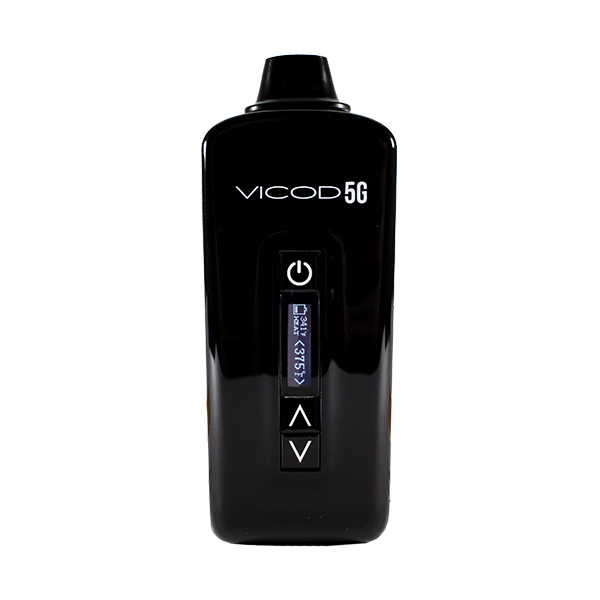 Equipped with a high grade ceramic heating chamber, the Vicod 5G vaporizer delivers pure and flavor-rich vapor that is rare among affordable vaporizers. 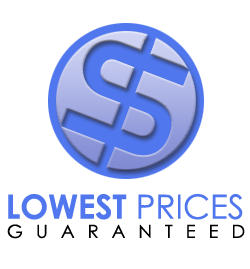 A convection-based heating method keeps vapor purity at a high level. 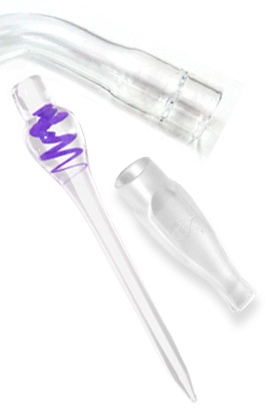 And the standard flat mouthpiece can be switched out for an extended glass mouthpiece that delivers pure, unadulterated flavor. 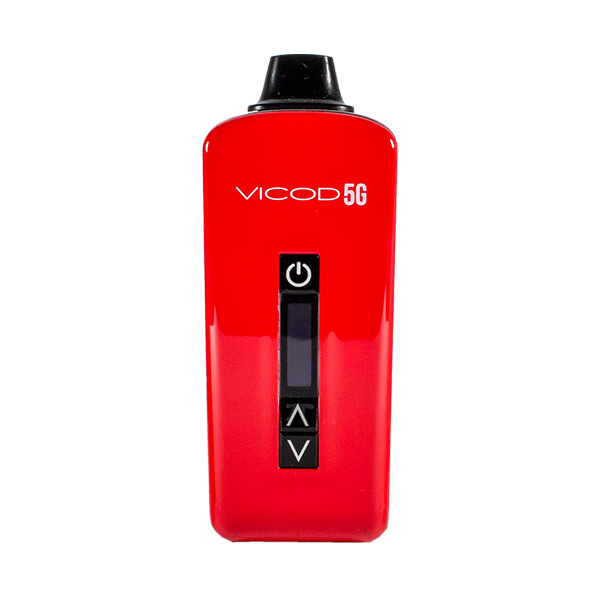 Perfect for on-the-go vaping, the Vicod 5G delivers high quality dry material vaporization from anywhere, anytime. 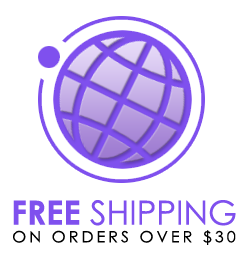 Just under 4 inches in height and 1.5 inches in diameter, this portable vaporizer is pocket-sized for burdenless transportation and easy to conceal during use. 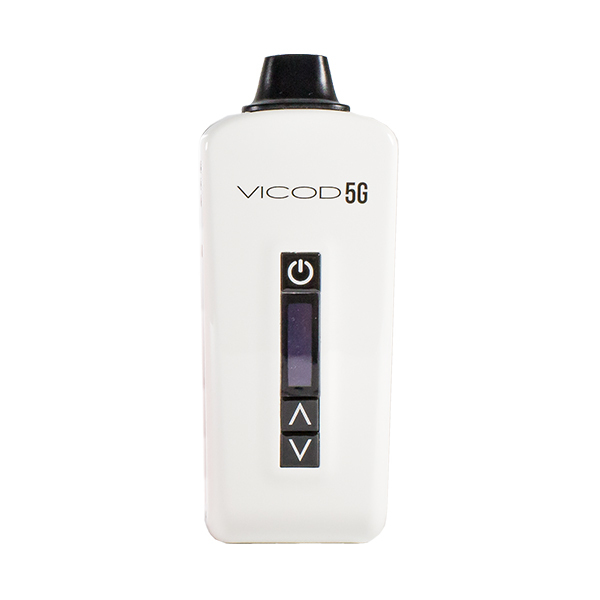 The Vicod 5G vaporizer is simple to load and heats up quickly, making it easy to vape fast within small windows of opportunity. 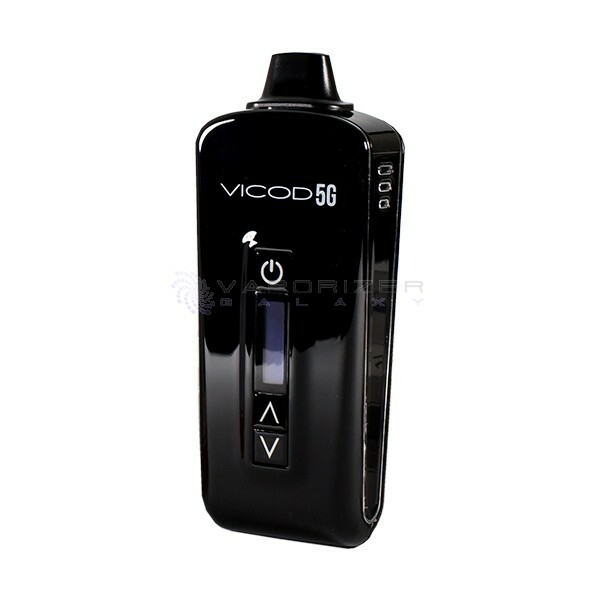 The Vicod 5G gives you complete power over vaping temperatures. 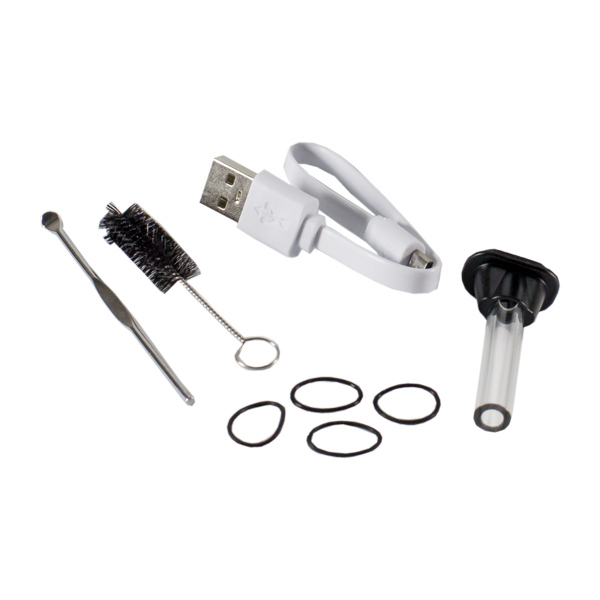 Set a precise temperature between 300° and 435°F to extract the best vapor from your dry materials and personalize your experience. Precise Temperature Control is easy with a simple plus-and-minus interface, and an intelligent OLED screen displaying temperature and battery power.